Last night I took a boot camp style class at my gym and LOVED it! I was pushed way outside of my comfort zone with a lot of the moves and my body is feeling it today. I'm not quite sure how, but I remembered the entire workout from start to finish. The first 15 minutes of class we did some cardio kickboxing moves for a warm up then we moved into our boot camp workout. 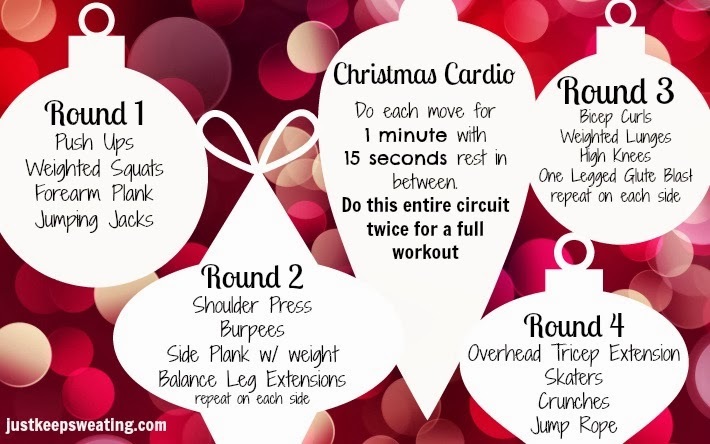 4 different moves for 4 rounds, repeated twice. Each move was done for one minute with a 15-30 second rest before moving on to the next one. In some cases we were on one leg or one arm so we repeated the move on the other side before moving on. For the weighted portions I used 8lb dumbbells but you could use ANY weight you are comfortable with, or none at all. There are always options for modifications for any workout. After we finished our circuits we finished up with some abs and a quick stretch before heading home. It was an amazing class and I will definitely be going back on the weeks I don't kickbox because if there is one thing I know about this teacher its she doesn't like to do the same things every class and when it comes to working out, change is not only good, but important. What is a one legged glute blast? Step Your Game Up - New Circuit!